The Journeyman Project 2: Buried in Time is the sequel is the second addition to the Journeyman series. The game changes up the gameplay of the previous game significantly and is a popular adventure game with plenty of puzzle aspects. One of the most important changes in The Journeyman Project 2 was the introduction of an identity and backstory for the player which will help you to better immerse yourself in the game. Players again control ‘Agent 5’ in the Temporal Security Agency (TSA), during the story it is revealed that your real name is Gage Blackwood. 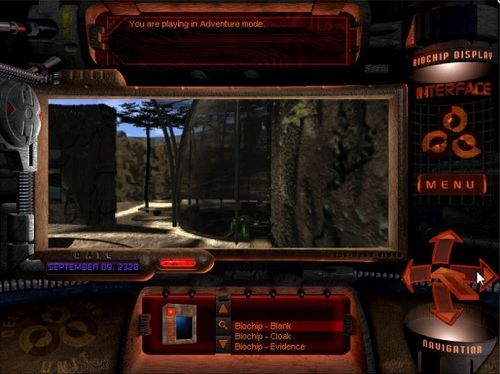 The game features the same science fiction and time travel aspects as the original but is instead more focused on the past. You start your adventure in the year 2318 and which is several months after the original game. Players are visited by a future version of themselves that informs them they have been arrested in the future for tampering in the past and that the 2318 version of yourself must find the evidence to prove that you were framed. This evidence to prove your innocence is in the past and will take players to a number of well-known and historical locations across the globe including the ancient Mayan temples and the workshop of the brilliant Leonardo da Vinci himself. As players advance through the story they discover a more sinister plot involving an alien race and a fellow agent of the TSA. If you prefer your adventures to have a science fiction element to the gameplay then The Journeyman Project 2 and the other games in the series are worth a look. 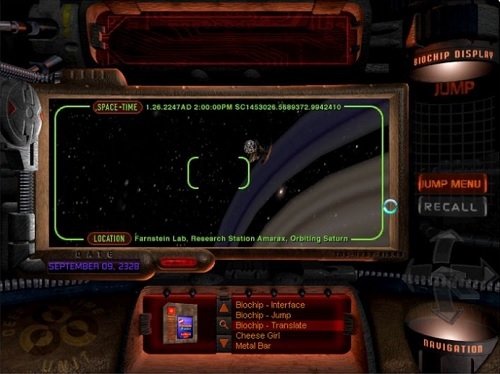 A classic adventure game with a science fiction theme. Plenty of plot twists to keep you interested. Travel back to the past and experience famous historical locations. Lots of changes compared to the original game in the series.